Before she died, Phyllis Seaholme was adamant that if she could no longer care for herself she didn’t want to live with her children. She had looked after her own mother for six years when she was diagnosed with dementia and she didn’t want her children to have to care for her the same way. But after 18 months in a Wonthaggi nursing home, she asked her daughter Jane if she could live with her. “We snuck up one Sunday night and kidnapped her. No one knew she’d left,” Ms Seaholme said. 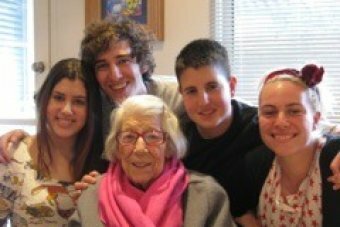 There had been tension between the family and the nursing home after Ms Seaholme complained about her mother being served cold and “inappropriate” food such as dim sims and hot dogs. It escalated when the nursing home sent her a solicitor’s letter threatening her with an intervention order. When she spoke out about it in the local newspaper, Ms Seaholme was inundated with stories from other families who weren’t happy with the level of care they had received in nursing homes across the country. It prompted her to start campaigning for better care in nursing homes. Ms Seaholme started a Change.org petition which will be delivered to Aged Care Minister Ken Wyatt on September 14. It is calling on him to mandate staff-to-resident ratios for all aged care facilities across Australia to “protect our elders, to keep them safe, respected and valued”. It has garnered more than 229,580 signatures and is aiming to reach 300,000. “What I see is a system that needs changing,” Ms Seaholme said. “Overworked staff are stressed and undervalued. The Australian Nursing and Midwifery Federation is running their own campaign to legislate ratios in aged care facilities. ANMF federal secretary Annie Butler said vulnerable residents and their families should know how many nurses and carers were on duty. “There are currently no laws which make providers have the right number of staff with the right mix of skills to care for nursing home residents,” Ms Butler said. Last month, Independent MP Rebekha Sharkie introduced a private member’s bill in a bid to force aged care providers to publicly disclose their staffing ratios. Ms Seaholme said there was a desperate need for more transparency. “I think a lot of these nursing homes think they’re doing you a favour by having you stay there. They don’t realise that we’re the customers,” she said. Aged Care Minister Ken Wyatt said the provision of quality aged care through “adequate staffing” was strictly mandated by law. “Aged care homes are closely monitored for care delivery, with unannounced quality audits now standard,” he said. Aged care worker Honorine called ABC Radio Melbourne to back-up calls for ratios after she spent time working in a nursing home where people were “not just residents, they’re a production line”. “I am still working in aged care but the place I’m in now is just absolutely wonderful … it just shows me how bad it is on the other scale,” she said.